If you are transitioning from conventional produce to organic, you may be shocked at how much faster organic food starts to go bad. Your organic produce may start to rot in as little as three days. Bread might get mold on it in less than a week. Meat may start to turn green in just a few days. Organic food tends to be more expensive than most conventional foods, so of course you want it to last until you eat it. 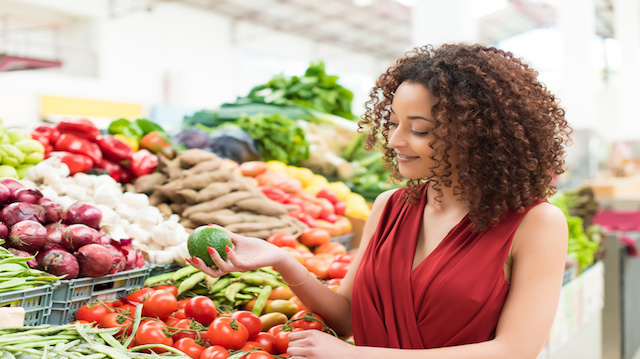 But other than simply going to the store more often and buying less food at a time (ideal, but impractical for most), how can you make that organic food last as long as possible? Luckily, we’ve got you covered today. Use these tips to give your organic foods a longer shelf life. Moisture is the enemy of fresh produce. Any extra moisture can quickly cause mold to grow. You can avoid this by not washing your produce until it is time to prepare it. Line the bottom of crisper drawers with paper towels to absorb moisture, or if you have the option, keep the humidity low in your refrigerator. Did you know that you can make your foods last longer by partially cooking them in advance? This works well for vegetables you plan to cook later. After washing them, steam them for five minutes or less over boiling water. Then dry them and store them in your refrigerator or freezer. The steaming process kills much of the bacteria that causes food to rot, so you will be able to use your produce longer. Leafy greens: These last longest when stored in damp paper towels and allowed to breathe. Do not crush greens under other produce. Sprouts: Keep your sprouts as dry as possible on the top, while keeping the part submerged in dirt damp. Use a similar technique with fresh herbs and spices. Root vegetables: Root vegetables will last longest when stored in a cool, dark place, such as the pantry. Do not store these in the refrigerator or freezer. Cauliflower and broccoli: Keep these vegetables dry and do not get them wet until you steam them or plan to cook them fully. These two vegetables are some of the longest-lasting of the organic bunch when stored properly. Berries: Prevent berries from getting moldy by storing them in a dry, single layer. A shallow dish or container that allows breathing will help keep them dry and prevent mold growth. Fruit: Most everyday fruits, like apples, oranges, pears, tomatoes and avocados last longer when stored outside of the refrigerator. Apples do particularly well when stored in a cool, dry place. If you want a cold piece of fruit, just place it in the refrigerator the day you plan to eat it. Stone fruit: Surprise, surprise, the best way to store stone fruit is also outside of the refrigerator. Most stone fruit should last a week or more when stored in a dry place. Meat: Organic meat tends to go bad faster because there are no preservatives. The best way to prevent meat from going bad is to freeze it as soon as you bring it home from the grocery store. Separate the meat into meal-sized sections and store in the freezer. Take the meat out of the freezer and store in the refrigerator one day in advance so it will be ready to cook for the next day’s supper. Grains: Organic bread products get moldy fast. Prevent this from happening by freezing your bread items when they come home from the store (except what you plan to use within the next 3–4 days). Wrap the bread tightly to prevent freezer burn. Freezing is easy and can be done for almost any food. Cut vegetables or fruit into bite-sized pieces and freeze on a large cookie sheet. When the produce is frozen, you can move it to a container. If you are a canning whiz, you can also cook and can nearly anything. By following these tips you can extend the life of your organic foods and see less food waste. You will not only have a happier pocketbook, but the planet will be a better place too. Hey Buddy!, I found this information for you: "How to Make Your Organic Foods Last Longer". Here is the website link: https://www.thealternativedaily.com/make-organic-foods-last-longer/. Thank you.